Benetti FB268 M/Y SEASENSE is a 67-meter full custom superyacht with a steel hull and an aluminium superstructure built for an experienced owner who has chosen the Benetti brand for the first time. 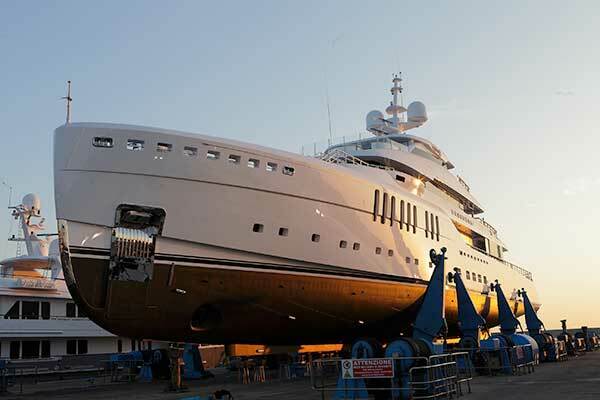 The elegant exterior lines of the M/Y SEASENSE are by the Dutch designer Cor D. Rover, designing its first Benetti vessel, while the naval architecture was developed by the shipyard’s technical office. The contemporary styling of the interiors, on the other hand, is the result of collaboration between the Benetti’s architects team and the design studio AREA from Los Angeles, making its debut in the world of superyachts. The layout includes six suites that can accommodate up to 12 guests. The basic concept underpinning this Benetti superyacht is reflected in its name – SEASENSE – which has been translated into a design that revolves around the relationship with the surrounding environment. In fact, the owner wanted the outdoor areas to be as spacious as possible, to offer the maximum possible contact with the sea. In particular, the stern area of the main deck is given over to a big pool with a sun-lounging area connected to the peculiar main salon that, through the opening of big sliding doors, provides even more outdoor space for guests. FB268 SEASENSE – fitted with 2 1380kW Caterpillar engines, it has a top speed of 15.5 knots and a cruising speed of 15 knots. The range at a cost effective speed of 12 knots is 5,000 nautical miles. Delivery is scheduled for the end of July 2017.